Grevesmühlen is a city in the municipality Nordwestmecklenburg in the federal state Mecklenburg-Vorpommern. The city is administrative center for both the city and the surrounding countryside. There are about 11.200 inhabitants in Grevesmühlen, who make the city one of the centers in the federal state. There are a lot of activities and projects in the city concerning successful inclusion of persons with disabilities. 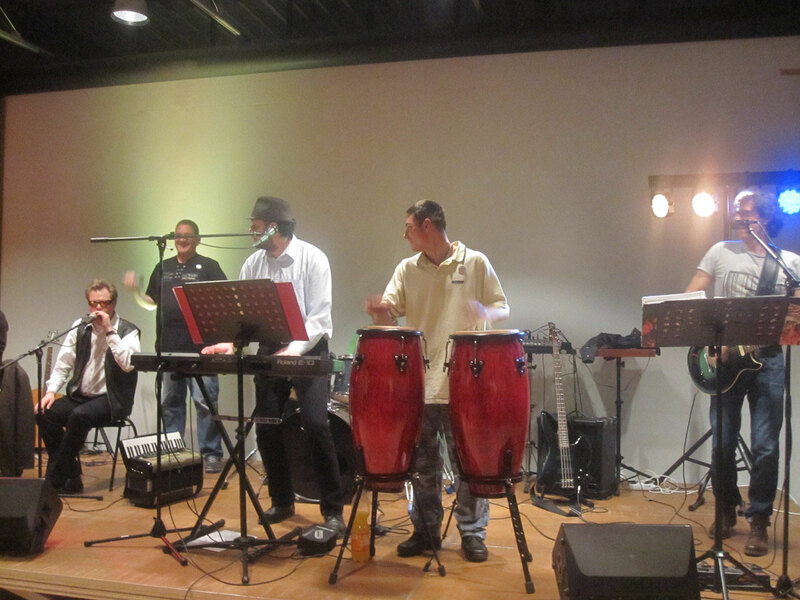 · The annual “City Night” with the topic „Grevesmühlen ist Bunt“ (“Grevesmühlen is a colourful city”) with inclusive stage programs, handicap-parcours, serveral games and an inclusive café is celebrated on the European day for equality of persons with disabilities. 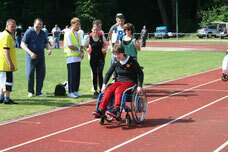 An inclusive project of the local sports clubs called „ Handicap egal- ich bin dabei!“ (“Handicap – Never mind, I’m in!“). Persons with disabilities are included in the clubs and the trainers themselves get additional training to handle the different needs. 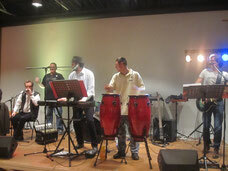 · Cooperation with local music schools for the integration of musicians with disabilities in bands and orchestras. The topic „Inclusion“was intensively brought to public attention. With the help of the IN-Town activities and events the general public was sensitized and the citizens were able to remove any irrational fears of contact with persons with disabilities. By visiting our network partners we’ve seen different ways to engage the challenges of inclusion. This also helped us to make out our own deficites. Participating institutions and clubs were able to connect with similar organisations in our partner communities. The project also helped us understand cultural characteristics of our European partners. While working with our partners a lot of friendships were built. 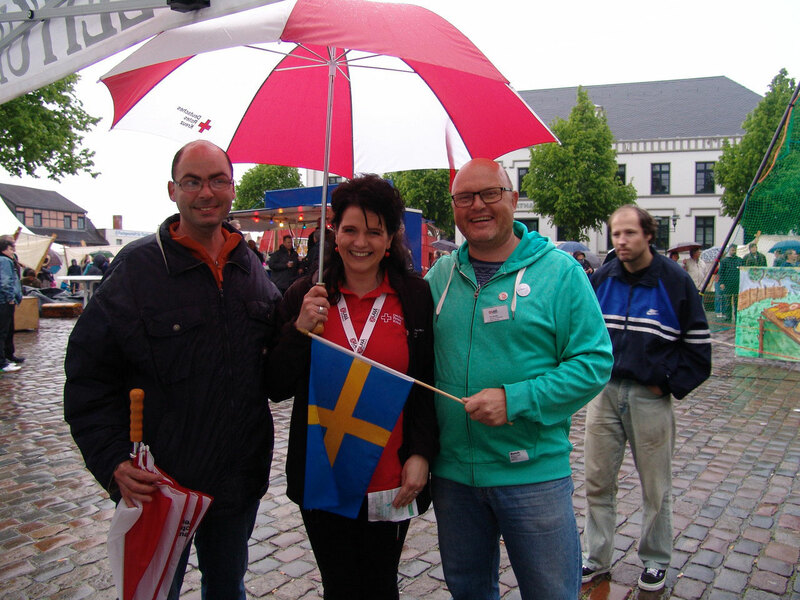 We are still engaged in making Grevesmühlen an even more inclusive city. This we want to achieve through further events and projects on the topic of inclusion to forward the development of total inclusion of persons with disabilities in every aspect life has to offer. 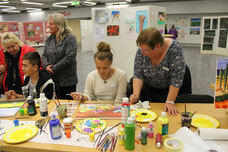 Similar to what we’ve seen in Laxå the Diakonie, in cooperation with Grevesmühlen and other supporters, plans to set up an art academy to promote artists with and without disabilities in the fields of art, culture and music. As locality for this project Grevesmühlen’s newly renovated railway building will be used. The twin city network shall be further used for the exchange of ideas and to cooperate for the benefit of persons with disabilities.We can support each other with the realization of inclusion with the help of events and projects. Further development of the twin city cooperation can be realized with official network meetings, exchanges and meetings of concerned clubs, organizations and other stakeholders. We’ve seen impressive examples for inclusion in Nagymaros (Hungary), in Laxå (Sweden) and in Loures (Portugal). We also experienced that inclusion is not only a matter of money but of personal and social engagement. This engagement is the expression of how much a society values their citizens with disabilities. Our honorary work with persons with disabilities helps them to live a self-determined and active life. We are also working on a barrier-free society. I have experienced that the topic inclusion was successfully engaged in a serious and professional way. Persons with disabilities were included in the project at every time and participated actively. All participants have experienced and lived successful inclusion at the same time. Within the project we’ve experienced that persons with disabilities have very much potential which is often greatly underestimated. To make people aware of the benefits of inclusion is a very important step. IN-Town made a very good start so far but the path to complete inclusion is but a challenging one and needs even more social efforts. Every person should be made aware of the importance of inclusion for our society nowadays an in the future. To make inclusion work, people need to realise that differences enrich our societies. We have reaches inclusion when there is no need for the Word itself anymore…hopefully. The In-Town project enables us to exchange successful and practical ways to improve the situation.